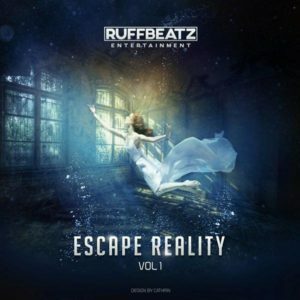 RuffBeatz Entertainment brings forth on of the most mind-blowing compilations of the millennia with Escape Reality Vol. 1. An astronomical adventure awaits! Stars from all corners of the universe have been sent on a voyage to earth to enlighten and radiate their sound, bringing us to Escape Reality. What a new beginning. We are super excited to be working with such amazing artists for this killer compilation and we’re really pleased with the outcome. Leave the rest of the world behind and escape with us! MP3 Download | FLAC Download | WAV Download · Download count: 11,074. It’s not the artists’ faults, nor the label’s, but Ekto’s for mislabeling the subgenre. Still, some quality productions here. Thanks for the free release. There are a lot worse albums on Ekto with higher rankings, not sure the hate here. Gave it 5 stars just to try & skew it back closer to the 80% range it should belong in. Thanks Ekto for the free release…but dude? WTF?! The week remix of Rammstein’s Du Hast was mildly amusing though.